There’s a peculiarly British film and TV genre of the late 60s and early 70s which you could call ‘Pagan Village Conspiracy’. Nowadays, everyone recalls 1973’s film The Wicker Man. It’s legendary, as much a part of folklore’s history as Frazer’s The Golden Bough. Viewed from the 21st century, the setting for these stories is a distant but parallel world. We can recognise the remnants still visible to us now, with their innocence that steps from the landscape and into our consciousness – the once-familiar street furniture, old pub signs, patterns, the set of a grandmother’s hair or the particular colour of a cable-knit jumper. Today, there’s an aggressive sweep of modernisation throughout our built and natural landscape, not experienced so fully – arguably – since the remodelling of towns and cities in the decades after the Second World War. At such times, perhaps there’s an innate longing for something uncanny, something larger than the frenetic floundering of human progress. Will there always be something ancient and strange, or will we all walk bravely into a world as ordered as the edicts of corporate identity? In many of these films, now over 40 years old, the city turns to the village and treats it as a pause button on ‘now’. But the village won’t behave as it’s supposed to. It snaps and bites at manicured hands. Robin Redbreast was first broadcast just before Christmas 1970, as part of the BBC’s Play for Today series. 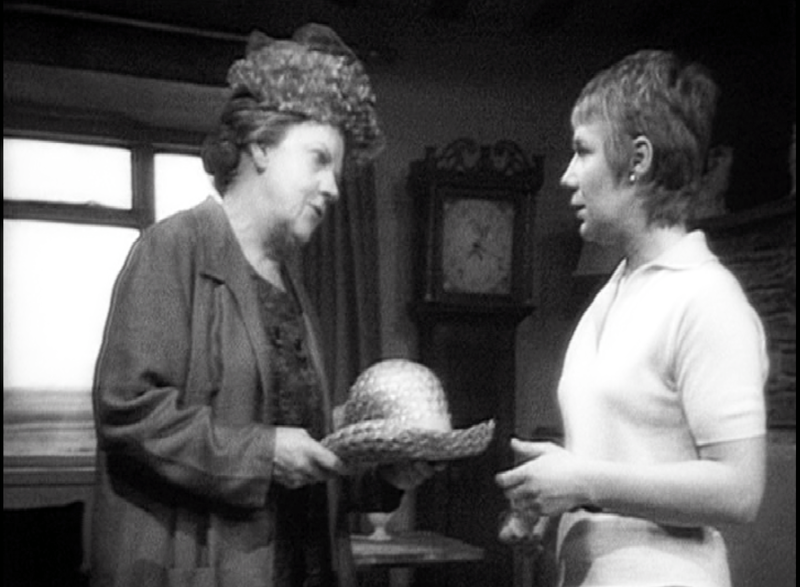 Norah Palmer, played by Anna Cropper, buys a cottage in the country and modernises it. She intends to take time out from her media career in London and recover from a failed relationship. 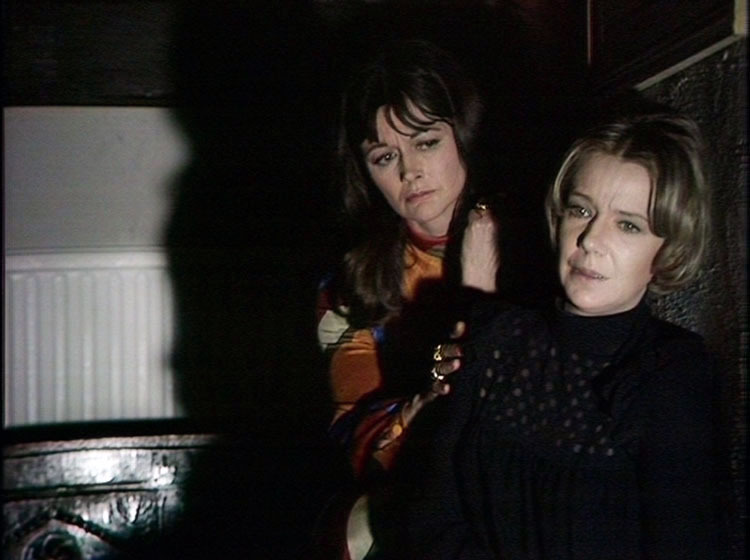 There’s a similar opening in the more visceral play The Exorcism (from the 1972 series Dead of Night) where Anna Cropper, again, is part of a couple who’ve left the city and given a full mod-cons makeover to a rural cottage. In both plays something ancient and strange bites back. In Robin Redbreast, folk rituals appear, tiny splashes and ripples of the uncanny on the surface of the comfortingly familiar everyday world. In The Exorcism it’s something deeper and darker that rises, with a merciless swipe at the bourgeoisie. The souring of a fine Chianti is just the start of it. There’s another PVC (Pagan Village Conspiracy) in an episode from Brian Clemens’ ITV series Thriller. From 1973, A Place To Die finds a doctor and his wife buying a picturesque rural practice, a new beginning as she recovers from an accident. The villagers fawn increasingly over ‘My Lady’ and soon the easy honest-to-goodness-ness is disturbed by strange gifts on the kitchen doorstep. While not in the league of John Bowen’s work, it’s a must for lovers of League of Gentlemen humour. Worth mentioning here, though not a PVC, is Baby from Nigel Kneale’s series Beast. 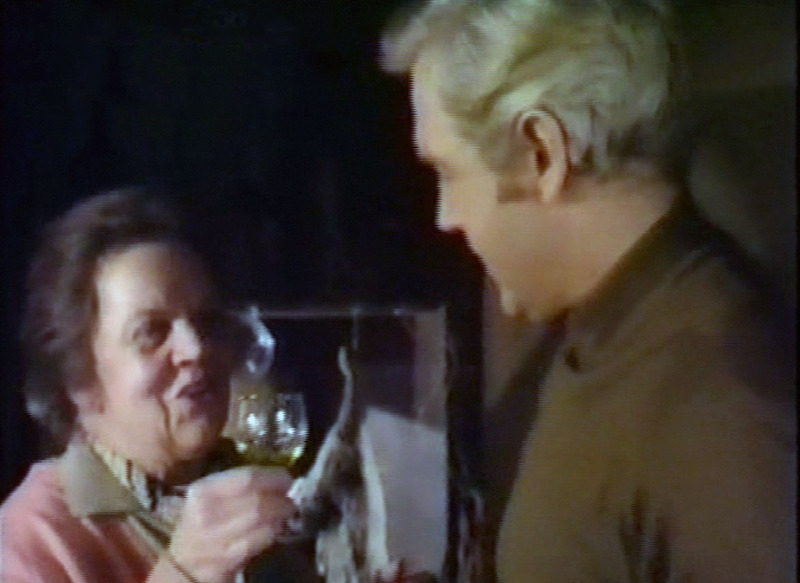 Another young couple, this time a vet and his wife (it’s the 1970s, in TV world women weren’t always allowed careers) buy a cottage, modernise and live happily ever after… For about three days actually, because there’s an occult relic in the kitchen cupboard. Baby is really not without its unsettling moments either. BFI have recently released Robin Redbreast and Dead of Night (The Exorcism) on DVD. Thriller is available as a 43 episode box set, but YouTube is worth trying for A Place to Die. Beasts is on DVD. A Photograph is currently unavailable.